Harry Potter and the Philosopher's Stone Screencaps. . Wallpaper and background images in the Tom Felton club tagged: harry potter tom felton draco malfoy screencaps philsopher's stone scenes acting. 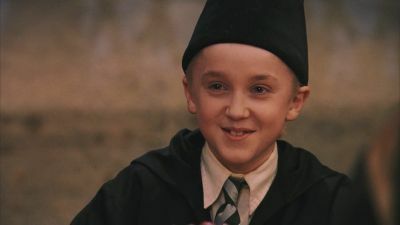 This Tom Felton Screencap might contain abito accademico, veste accademica, toga del giudice, and robe di giudice.